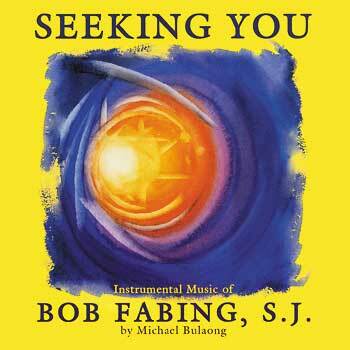 Quiet your heart, mind and soul and create an atmosphere of peacefulness with this collection of instrumental music from Jesuit Father Bob Fabing. An internationally known composer, Jesuit Father Bob Fabing has been writing music for the church for over 40 years. This collection of instrumental arrangements of some of his beloved classics fills a need for music that will support one's daily prayer life. These songs create an atmosphere of calm and peacefulness that allows listeners to enter more deeply into prayer. To further enhance your prayer experience, the original song texts have been provided in the booklet and can serve as a guide for even greater contemplation and reflection. Alternatively, you can select a few poems from Father Fabing's poetry book, Deeper Than You Are, to read through while listening.